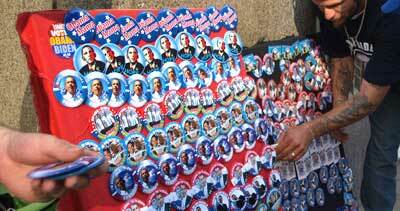 The weekend after the 2004 Democratic Convention Barack Obama campaigned for U.S. 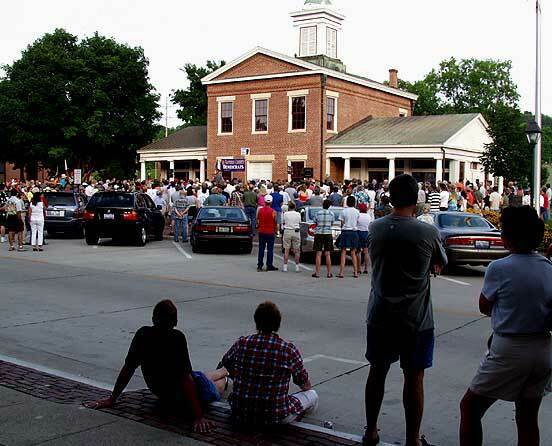 Senator in Galena, Illinois on the steps of the Market House. He made two local references. At the beginning of his speech he talked about being in Galena a year earlier when he played golf, bought ice cream on Main Street with his family, and spoke to small groups. At the end of his speech he mentioned that slaves use to be sold at the Market House. A good descirption of election night is in the Fast Company article on Chris Hughes, though a bit far fetched. Nobody ran down Michigan Avenue that night - it was too crowded. Chris Hughes, a co-founder of facebook, was on "team email" at the Obama headquaters. For the three months up to the election I hosted another member of "team email" in my downtown condo. Those were heady times. 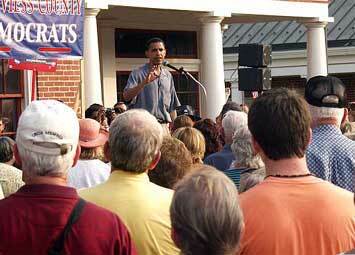 In 2008 Barack Obama ran for President. He spent the evening of the Super Duper Tuesday primary race in Chicago, his home town. He won more states and delegates but got fewer votes than his opponent. 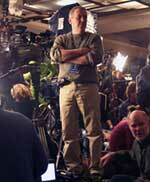 Before the primary many expected him to be eliminated that day but he continued. He shared the stage with his wife Michelle. Barack Obama went on to win the primaries and became the Democratic nominee. 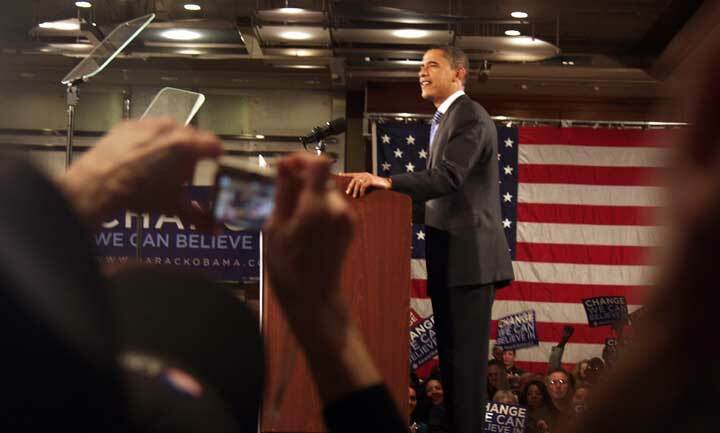 On the night of the election he was back in Chicago and had his election night party in Grant Park. According to the L.A. Times 240,000 showed up in Grant Park to celebrate the Obama victory. 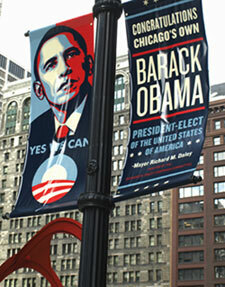 Chicago seemed confused about how to celebrate its favorite son president. The gala was part a sport and part an entertainment event. I saw it as a catharsis to the trauma caused by the 1968 Democratic Convention, a big part of which also took place in Grant Park. 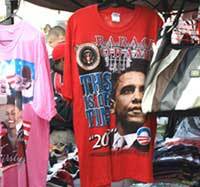 Walter Shapiro of Salon said, "The raucous Obama victory rally in Grant Park was the capstone of Democratic strength through unity. The riotous antiwar rallies in Grant Park during the 1968 convention and the brutality of the police truncheons accentuated the cultural fault lines in the Democratic Party that contributed to 28 years of GOP control of the White House, from Richard Nixon to George W. Bush." 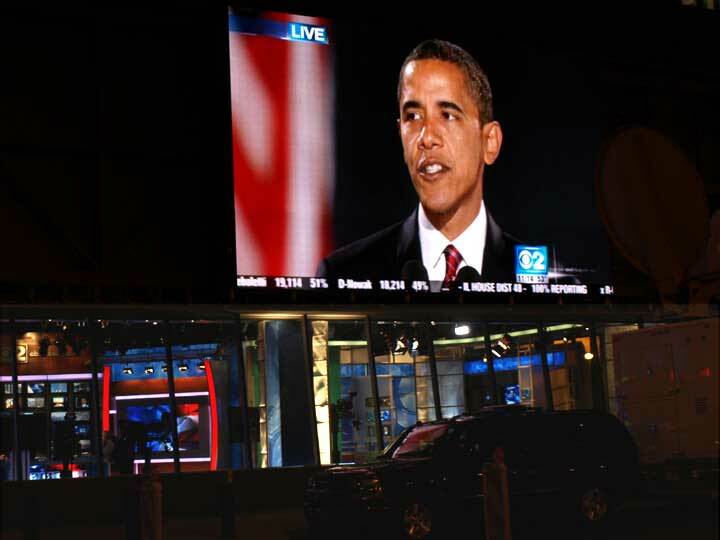 The photograph at left was taken of the billboard size screen outside the CBS-WBBM studios across from the Daley Center. Standing next to me was a young, teary eyed, black woman with a baby in a stroller. She said to her baby while watching the screen "There is Mr. President. Say hello to Mr. President." Tuesday night the world changed a little.